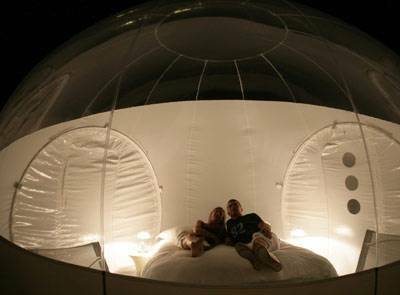 The sci-fi modules are pressurized from the inside making them akin to an adult jump house -- minus the bounce, and full of sophistication (including thermostat and lighting temperature controls). 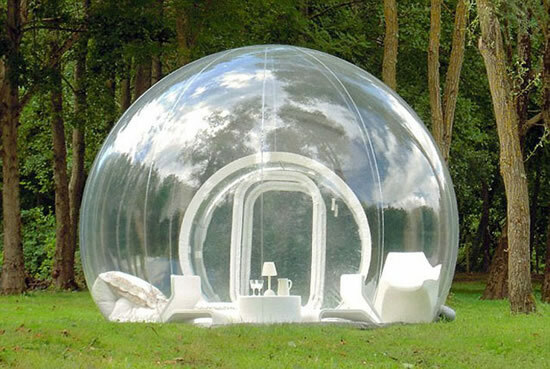 There are also a variety of different modules available using both transparent and semi-transparent fabric for those looking for a little privacy while out in the open. 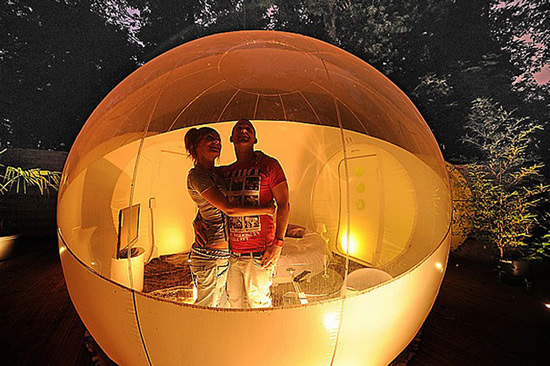 Each Casa Bubble structure comes with a wood floor. 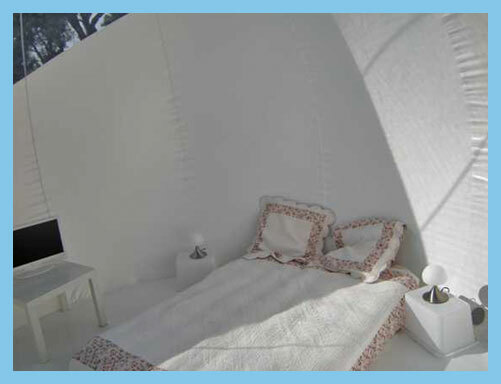 Rooms are large enough for king size bed with plenty of room for some additional furniture pieces. 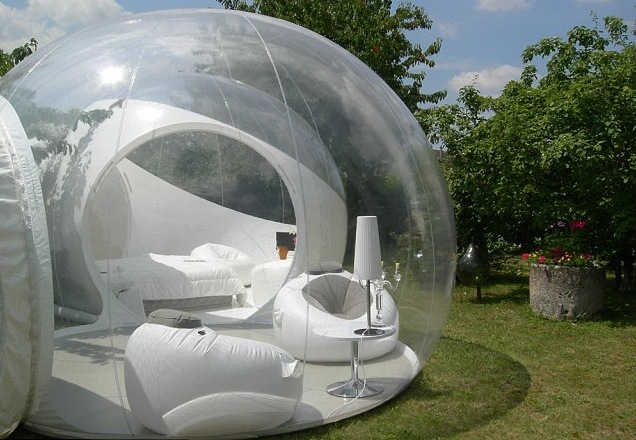 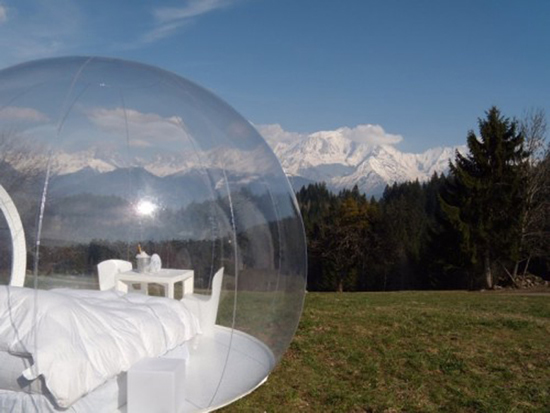 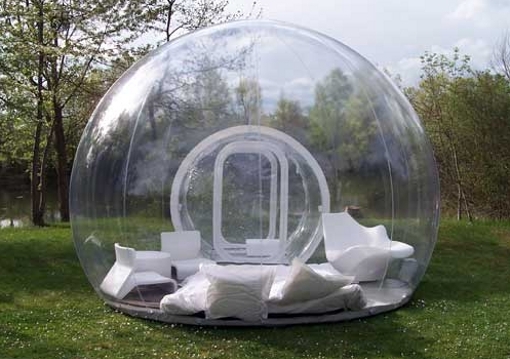 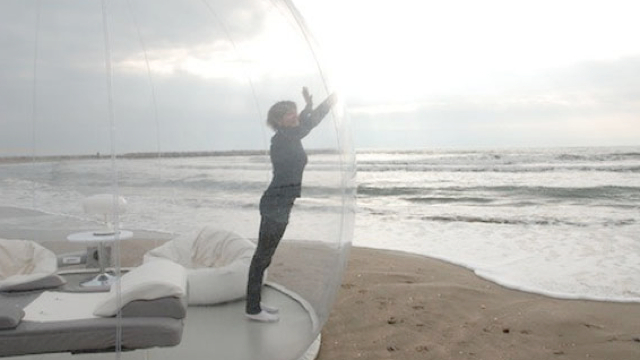 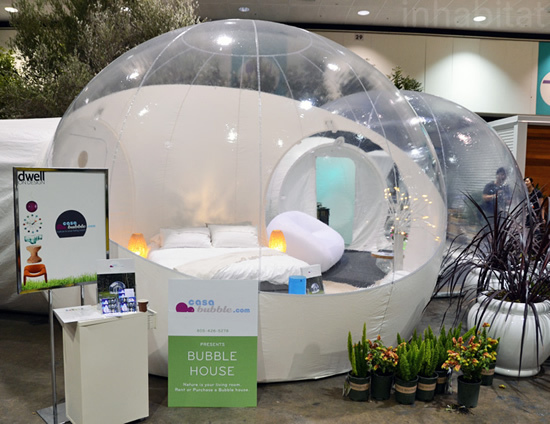 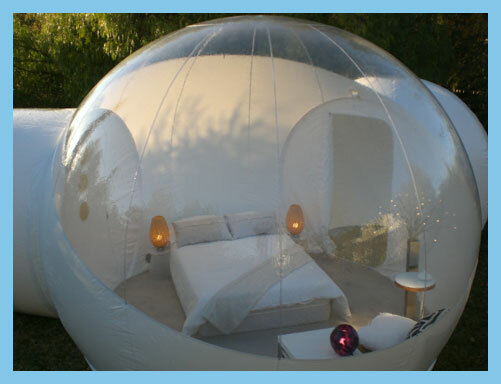 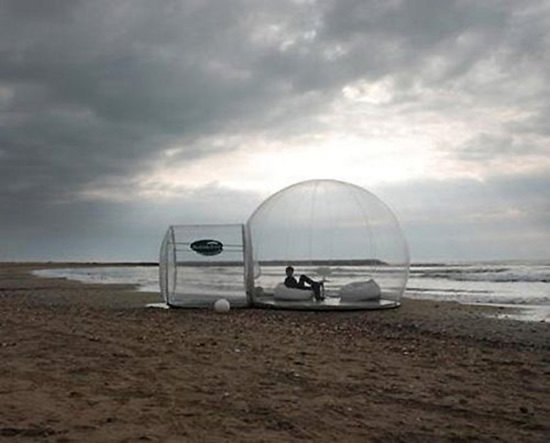 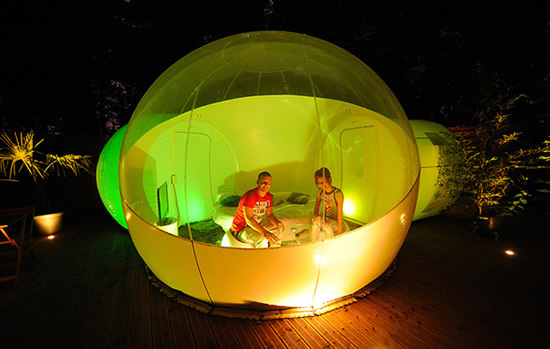 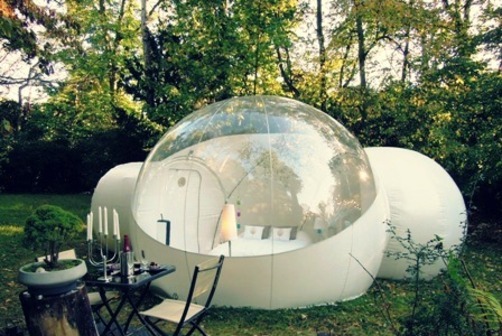 The bubbles give its residents a complete panoramic view of the great outdoors.